Do you want to learn to speak German? Chatterbug is one of the best apps out there for this purpose. It combines state-of-the-art technology and a well-designed curriculum, as well as live instruction for optimal outcomes. Your tutors are native speakers and are highly professional. You can track both your self-study and your live lessons through your dashboard. The service also runs on a subscription, offering options for both casual and serious learners. To sign up, all you need to do is visit their website. Chatterbug offers a simple yet effective way to master German. This platform uses a combination of an excellently conceptualized curriculum and live instruction, delivered through state-of-the-art technology. 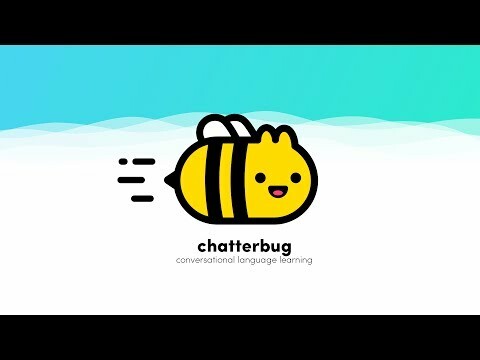 Chatterbug was created out of the need for a tool that offers holistic language instruction. It provides more than the usual module-based education as it also includes live conversations. This feature allows you to communicate with professional tutors who are also native speakers of German. From them, you learn the nuances of the language, as well as the different aspects of the German tongue that impersonal instruction fails to deliver. Between your live classes, you need to perform self-study using the materials and the curriculum provided by Chatterbug. This is specially designed for various goals. It even adjusts to your skill level. As such, you are assured of a comfortable, convenient, and effective learning pace. Additionally, you can immerse yourself in over 1,000 exercises created to boost your studies. Chatterbug’s technology is such that it allows you to keep track of your progress. This covers even the individual words you have learned so far and how you acquired them. These are all available via your dashboard for easy access. The app is subscription-based, payable through both dollar and euro. The Casual option is the cheapest plan, but it offers just 1 live lesson apart from the self-study. This is ideal for those learners who like to do things at their own pace and who don’t have deadlines to meet. The Serious option is for learners who need more live lessons. The said option offers 8 live lessons besides self-study. If you want to take as many lessons as you want, you can opt for the Unlimited option. Wonderful extilnapaon of facts available here. Your's is a point of view where real inileltgence shines through.